click on an image to be brought to its web page. items pictured in ascending price order. Happy June! It's officially sandal time now. Even though it's not officially summer yet. In my mind, summer = casual. And flat shoes = casual. And sandals = summer. 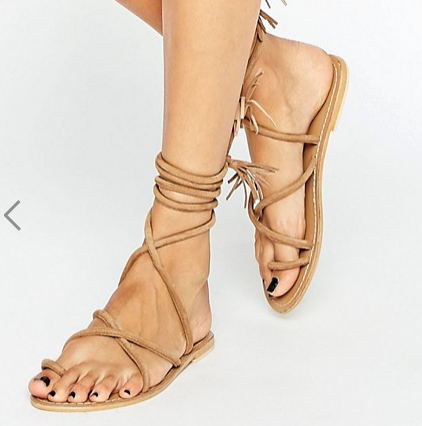 Therefore, flat sandals = summer casual. Now, maybe that wasn't 100% correct, mathematically and all, but you get my point. 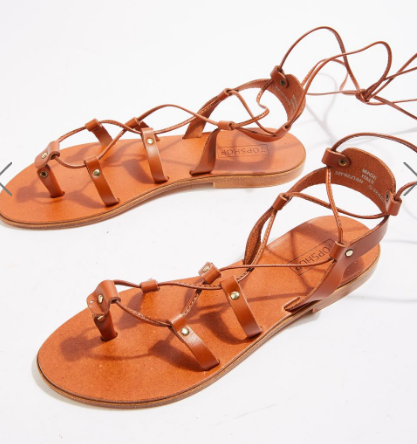 Now that you got my point, consider donning a pair of flat sandals this summer. 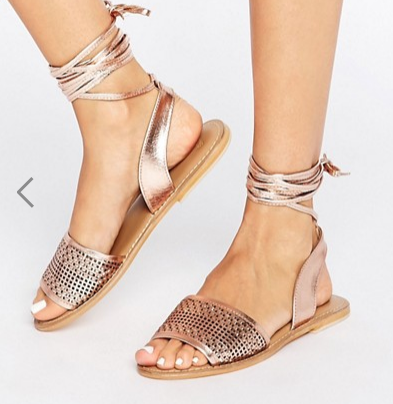 You probably won't catch me in a pair, because I rarely wear completely flat shoes, and if I do, it's usually a pair of sliders. But I'm weird. 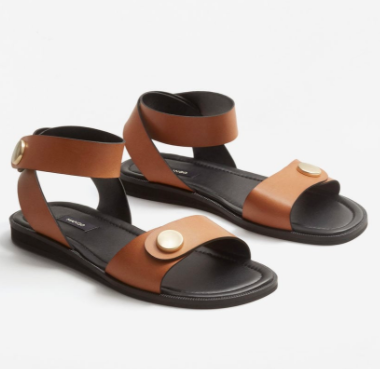 So disregard my personal preferences and get yourself a pair of flat sandals. One of the forty flat sandal options above could be a good choice for you. 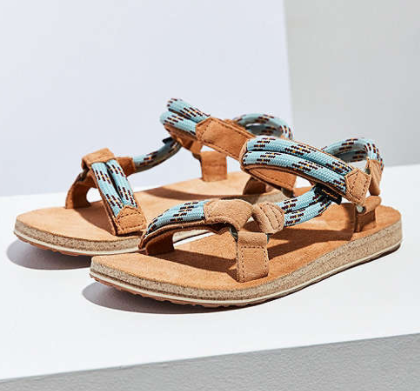 Whether you want a lace-up style or gladiator style or strappy style or espadrille style or metallic style or rope style or suede style or leather style or buckle style or pom pom style or flower style. Because all of those styles are included in this collage.